It looks like the GOP elites are absolutely intent on running Trump out of the race so they can control “the process.” The Party now determines who should be eligible to run and who meets their approval. Cruz’s “Washington Cartel” analogy was right! Last week GOP leader Reince Priebus defended Megyn Kelly and FOX News after the controversial debate where they planned zingers for the Republican candidates. This week he approved Hugh Hewitt, who has frequently spoken out against the GOP front-runner Donald Trump, to be debate moderator at the next Republican debate. Why can’t these guys just let a fair process decide who the nominee is? 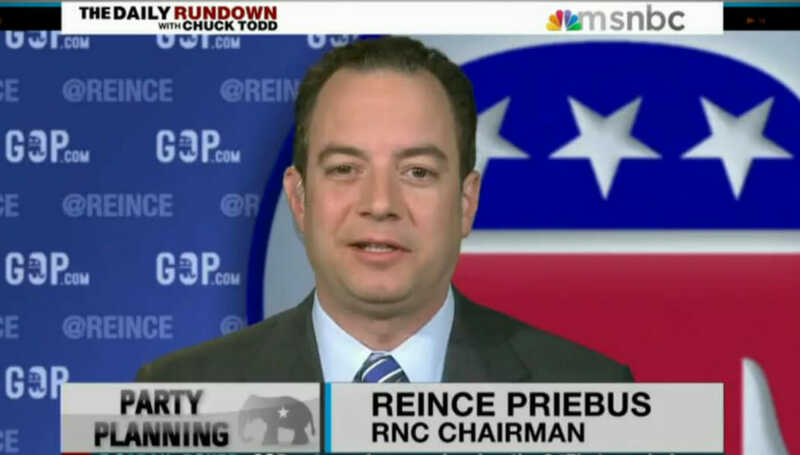 Republican National Committee (RNC) chairman Reince Priebus, according to an RNC spokeswoman, will stand behind Salem Communications’ Hugh Hewitt — at least for now — as a co-moderator of the next GOP debate despite Hewitt’s public criticisms of frontrunner Donald Trump’s candidacy. On Meet The Press this Sunday, Hewitt opined that he believes Trump does not have the “temperament” to be president of the United States. He doubled down on that on Morning Joe on MSNBC on Monday morning. With Hewitt out there publicly ripping Trump on more than one occasion, it’s raised concerns that perhaps after what happened in the recent Fox News-sponsored debate that he might not be much better of a moderator. Despite the obvious efforts by Fox News to swipe at Trump—efforts that clearly failed as evidenced by post-debate polling—RNC chairman Reince Priebus defended moderators Megyn Kelly, Chris Wallace and Bret Baier on the spin room floor after the debate.